September 8: Bethany will perform as principal flutist in the inaugural concert of the Twin Cities Symphony. September 14 and 15: The Chione Quintet will perform at a Carlson School event and in a St. Paul Wentworth Library concert. September 23-25: The Sonora Ensemble will make studio recordings of several Polish pieces that have been rarely performed and either rarely/never recorded. October 6, 9, 11, 13, 14: Bethany will perform on Minnesota Opera's production of Puccini's "La Rondine." Miscellaneous dates: Bethany is joining the Chione Quintet in its residency as MPR Class Notes Artists during the 2018-19 year. ​October 27: Bethany is co-organizing Upper Midwest Flute Association (UMFA) Marathon Flute Concert, a charitable event to support UMFA's flute student scholarship program fund. Flutists of all ages and levels are invited to perform. ​November 3: Students of Bethany Gonella, Vanamali Medina, and Andrea Myers will perform "pop-up" election concerts at local grocery stores to encourage people to vote! November 10: The Chione Quintet will perform at a MN Junior Winds event. November 10, 11, 13, 15, 17, 18: Bethany will perform on Minnesota Opera's production of Kevin Puts's "Silent Night." November 30: Bethany will play in MN Opera's preparation workshop for its newly commissioned opera, Joel Puckett's "The Fix." February 27: The Chione Quintet will perform in Willmar, MN as part of MPR's Class Notes Artists Program. May 5: Chione Quintet will perform on the Bethlehem Music Concert Series. May 11: Students of Bethany Gonella, Vanamali Medina, and Andrea Myers will perform an end-of-year concert together celebrating their work in group classes. August 1-4: Chione quINTENS!VE: A fun chamber music day camp open to all students playing flute, oboe, clarinet, French horn or bassoon who are entering grades 7-12. July 16-20: Bethany played in the chamber ensemble at UMN's Wind Band Conducting Workshop. Early June: Lake Sylvia Suzuki Flute Institute: A fantastic summer learning opportunity for students of all ages and levels and for teachers interested in Suzuki flute teacher training. Student dates: June 10-14. Teacher training: June 6-14. Mid-June: Bethany joined the Chione Quintet for several performances at Minnesota libraries and for a performance at a PEO event in Sioux Falls, SD. During the 2017-2018 season, Bethany joined the South Dakota Symphony Orchestra as Associate Principal Flutist. She also continued playing with Minnesota Opera and Minnesota Orchestra as an extra/substitute musician and as a regular musician with the La Crosse Symphony Orchestra. In May 2018, she joined the Chione Quintet, an active Twin Cities-based woodwind quintet. 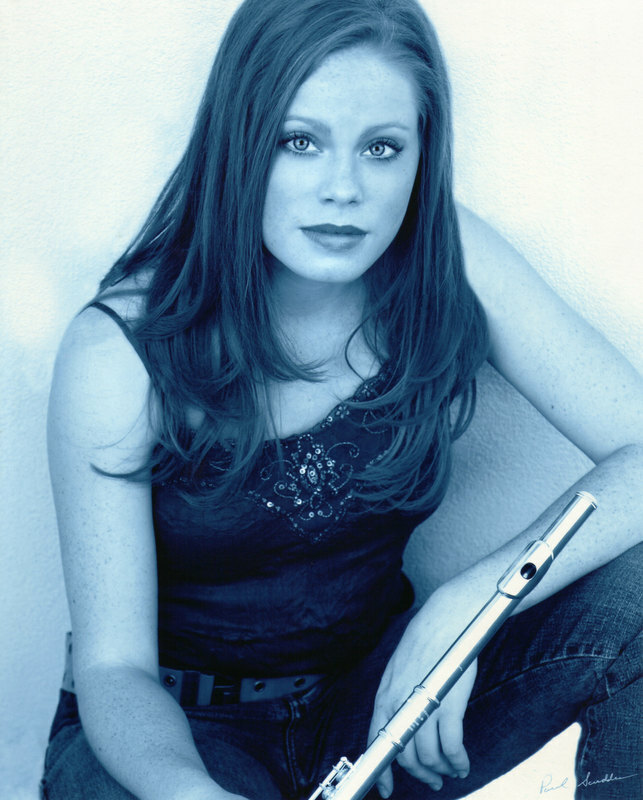 Throughout the year, she performed at various concerts and events throughout the Twin Cities, including at the National Flute Association's annual convention, in the Schubert Club's Courtroom Concert series, in recital with the Sonora Ensemble (a local woodwind chamber group), at an American Composers Forum showcase for student composers, and in the Twin Cities Baroque Instrumental Program concerts. She finished her doctoral coursework at the University of Minnesota, performing regularly as principal flutist in the orchestra, opera orchestra, and wind ensemble. In May 2018, she played two recitals on the baroque traverso flute. In August, she taught at the Chione Quintet's second annual chamber music camp, quINTENS!VE. Bethany's students had an exciting 2017-2018 season as well. Some of them performed with Minnesota Youth Symphonies and Greater Twin Cities Youth Symphonies and auditioned successfully for MMEA All-State Band/Orchestra. Many of them performed on UMFA's Marathon Flute Concert and Rising Stars, studied together in group lessons co-taught by Vanamali Medina and Andrea Myers, and played on Bethany's end-of-year Flute Studio Recital. One of them attended Lake Sylvia Suzuki Flute Institute and had a fantastic time learning and enjoying the beautiful lakeside environment.